Forty-six years ago today, on October 18, 1972, the U.S. Congress passed the Clean Water Act. 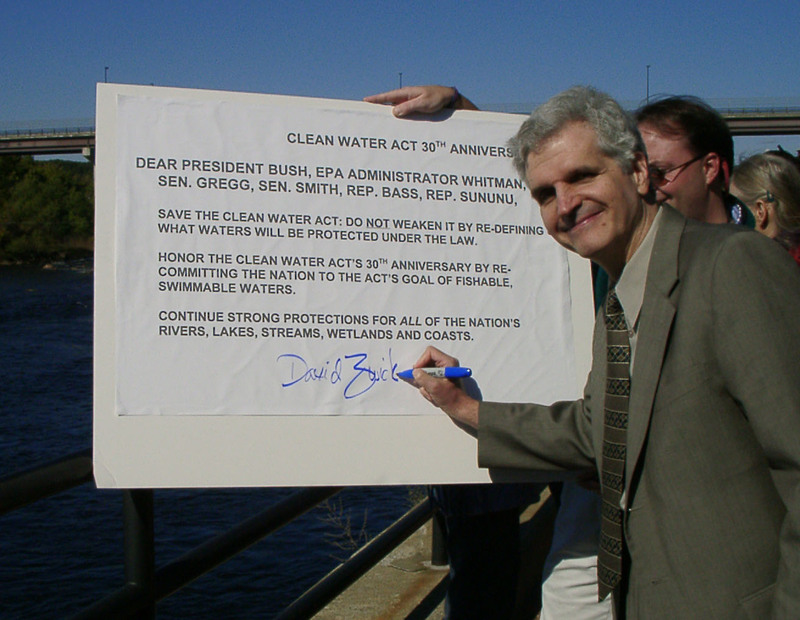 Clean Water Action was founded that same year to help push for final passage of the law and to work for ongoing clean water protections. Ever since, we have worked to win strong health and environmental protections by bringing issue expertise, solution-oriented thinking and people power to the table. We work on a wide range of issues, including those related to other federal laws – including of course the Safe Drinking Water Act. But Clean Water Act regulations and the fundamental work of our nation’s landmark water law are our founding issues and will remain core parts of our work. The current administration and U.S. Congress are the most hostile to health and environmental protections that we have ever seen and the very definition of “water” as defined by the Clean Water Act has been a signature target. Repealing a 2015 policy that clarified protection for our nation’s water bodies was one of the first executive orders signed by the incoming Trump administration. The U.S. Environmental Protection Agency will soon propose a new definition of “waters of the United States” for the purposes of the protections of the Clean Water Act. At issue in this debate are smaller water bodies, including streams and wetlands that we consider vital parts of our nation’s infrastructure. Many drinking water sources are fed by smaller streams, and what happens in those streams has impact on the larger water body that could be a drinking water sources. Streams and wetlands filter pollution before it makes its way downstream. As historic storm events increase, we have all seen what happens when the wetlands that provide a buffer against flooding have been destroyed. As we mark this year’s Clean Water Act anniversary, we are also preparing to make our case that the original intent of the Clean Water Act was to protection ALL of our nation’s water. This year’s anniversary is also special because we are honoring the memories of our founder David Zwick and of long-time Board member and leader Peter Lockwood. Inspired by their tireless dedication to the federal water protections and to our organization’s vision, we will redouble our efforts for clean water, environmental protection, and healthier communities.